The setlist ranged from the first song on their first album all the way through their catalog. As expected, it was back-loaded with songs off their most recent album, which I don't think is particularly good (but I appreciate a bit more after finding out that it is named after the second law of thermodynamics). They included all the hits (I think - I'm actually not that huge a fan of their music), and a couple of my favorites of theirs. 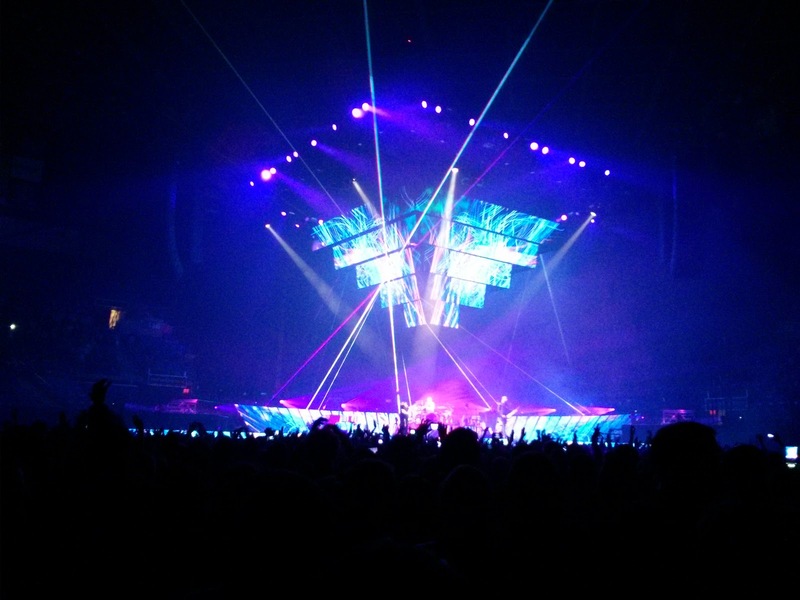 This may be the main reason that I saw this show - Muse is known for their elaborate stage setup. After seeing part of their show at a festival, I felt I should probably see a real headlining show of theirs. 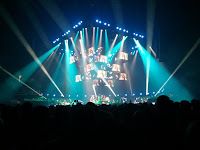 As expected, their stage setup was visually stunning - one of the best I've seen. They had screens all over the place (surrounding the stage, on the stage, and in motion overhead), lots of lights, lasers, and a boom camera that Matthew Bellamy played with a bit (at one point he had an extended close-up with the camera while his sunglasses displayed the song lyrics - pretty cool). 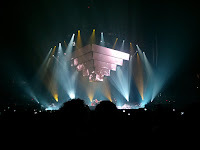 They also showed off a piano that came up out of the stage, a rotating platform for the drummer, and guitars with lights and Kaoss pads built in. The stage also had a very clean feel to it. There was a catwalk around the back, and a few places for the two non-stationary members to post up. In addition to having great visuals, they were quite technically skilled with their instruments - they played their songs very cleanly. 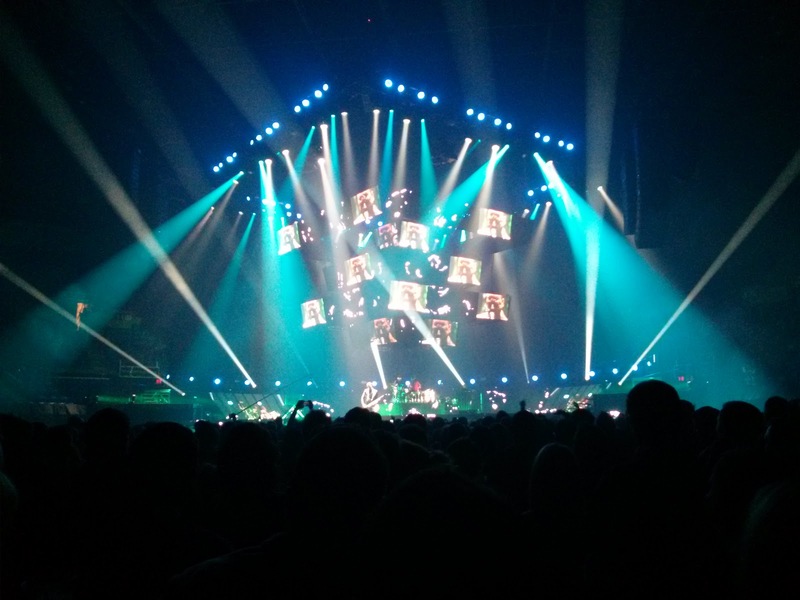 An extra traveling musician was used for a few of the songs, notably while Matt was on the piano. 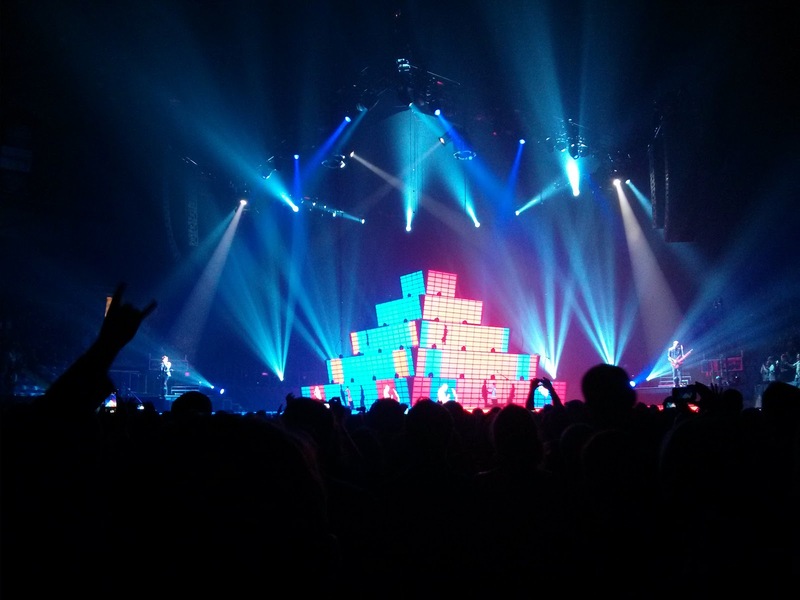 Did I mention that the visuals were amazing?